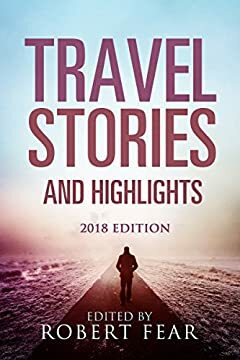 60 compelling Travel Stories and 40 absorbing Travel Highlights from 44 authors, writers, and poets. An enthralling mix of travel experiences that will let you explore different parts of the world from the comfort of your own home. A book you can just pick up and enjoy whenever you have a spare minute. Travel from the Australian outback to the wilds of North Borneo. Spend time rafting in Bosnia, trekking in the Himalayas and on a road trip through Europe. Experience living as an illegal immigrant in Mexico. Encounter a shark and swim with dolphins. Enjoy the ambience of Paris and a miracle at Lourdes. Marvel at Bedouin hospitality. Travel by train across India and meet a prince along the way. Immerse yourself in these and many more wonderful recollections. These enchanting short stories and highlights will stay with you long after you finish reading them. You never know, this book may just inspire your next travel destination. Do not delay, get your copy now.